Ubisoft has announced when Trials Rising will release on Nintendo Switch, the high-flying, hard-crashing physics-based motorcycle platforming series preparing to eat dirt on the portable home console for the first time. 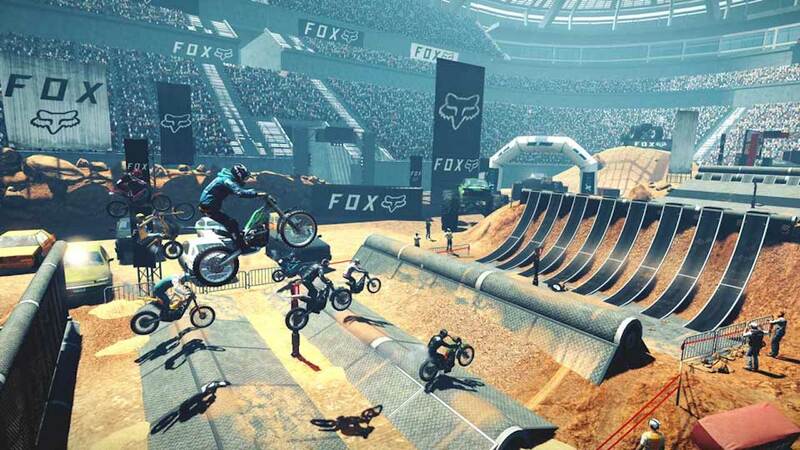 With the chance to compete all around the world, you will perform over-the-top stunts on tracks located across several continents, earning Fame to grow your standing as a Trials champion. That could see you finding the perfect line in a smouldering caldera in the wilds of Yellowstone Park, doing triple backflips off the Eiffel Tower in Paris or navigating massive drops on Mount Everest with snowstorms looming. Those that pre-order the game will receive the Jungle Rider Pack and the Wild West Rider Pack, letting you dress your ride in a multi-piece gorilla suit or rugged cowboy gear. Trials Rising will release on the Nintendo eShop for Nintendo Switch on February 12th, with the Trials Rising: Gold Edition to include the Expansion Pass that will grant you access to two major pieces of downloadable content and more.